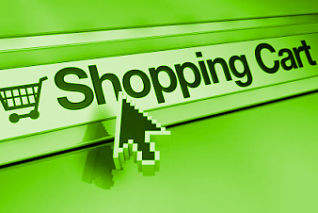 An essential part of business today is conducted on line, this is normally referred to as e-commerce. TCRM are fully committed to help you become 'e-savvy'. 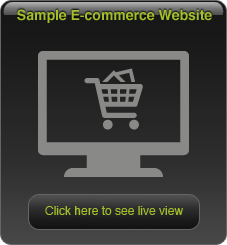 We use the latest software and systems to give your site an easy to use, reliable and flexible e-commerce web presence. We have a demonstration system on this site, please try it out. Essentially you tell us how you want the system to work and we will custom build it for you at a cost that we hope will delight you. These systems need backend administration systems. 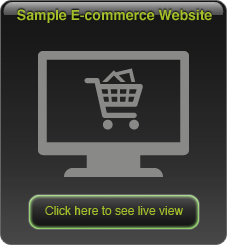 We would be delighted to demonstrate one of our live systems to show you how easy it can be. To give you a taster take a look at our portfolio sites and they will show you what TCRM can deliver. So, do you want to be the next Amazon or Ebay, talk to TCRM and we may be able to help you reach your goals. If you are no doubt serious about selling online and want to be successful, but an 'out of the box' system can be very limiting. Selling online in competitive markets can be difficult and the system must be very flexible to maximise sales possibilities. Since our ecommerce system is written for us by us we have the ultimate control in delivering what you need to deliver a premier service to your customers. Our e-commerce solution along with our content management system are both in-house developments and both systems have all the necessary features to make your online venture a success. 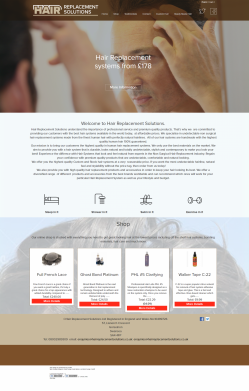 Your online shop can be tailored to meet your exact requirements, contact TCRM to discuss how we can help you.